SteamOS on PS4 a possibility in the near future? SteamOS on PS4 might be a possibility very soon. I’ve mentioned it in my earlier article today (“Fail0verflow: “For the PS4, we’re trying something new“), but I think this specific piece of the Fail0verflow story needed its own article. If you’ve missed the story so far, the group of developers going by the name Fail0verflow have managed to get linux up and running on the PS4. Although they have stated they will not release any of the PS4 security hacks used to achieve this, they are working on a full fledged Linux port for the PS4. 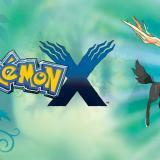 It will be up to other hackers to decide if they want to release PS4 Jailbreaks to run this. From their perspective, the Linux development is 100% unrelated to any PS4 exploit release. Linux on the PS4 actually makes a lot of sense, more than it ever did on any previous game console. It’s close enough to a PC that getting 3D acceleration working, while rather painful (as we’ve learned), seems entirely possible without undue amounts of effort (in a timeframe of months, not years), to the level needed for real indie games and even AAA titles, not just homebrew. And many thousands of indie and AAA games already run on Linux. Yes, SteamOS on thePS4 should “just work" once the driver issues are sorted out. Steam on PS4. A near future possibility? Would I like to gain access to more games from the comfort of my couch, with my PS4 controller? heck yes! Would I like to get access to my Steam library of games from one single device, instead of having to boot my PC? Bring it on! But, more importantly, and this is the part that Sony will not like, would I like to see some more competitive pricing for games on my PS4? Definitely! 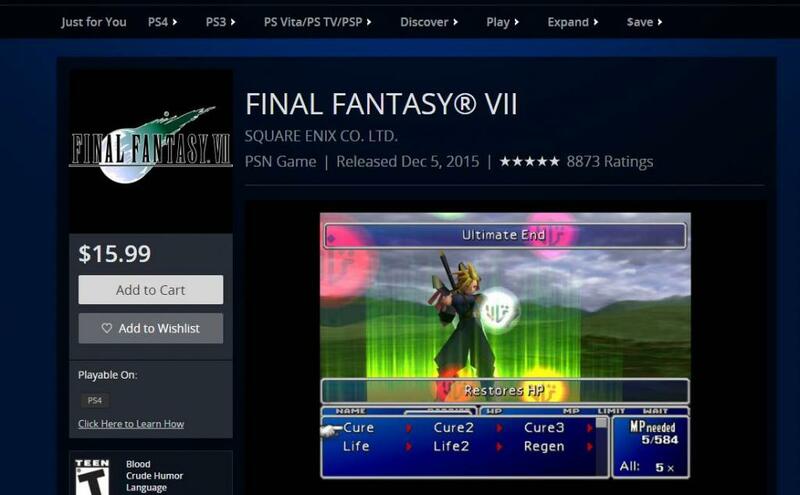 As an example, at the time of writing, Final Fantasy VII on Steam costs $5.99. The same game on the PSN costs $15.99, three times the price. More interestingly, SteamOS on PS4 could bring PC “exclusive” games to the PS4, such as your favorite MOBA, or classics such as Team Fortress 2. Sony will probably fight PS4 hacks toes and nails to prevent piracy, but it would be an interesting turn of events if they have to compete against a legit store on their own platform. Ultimately, PS4 gamers would benefit from that kind of competition, but it’s clear that Sony would not appreciate the hit in sale if this were to happen. When Sony made Linux available on the PS3, they realized that many people were buying the device only to use Linux on it, which resulted in a net loss for Sony as they did not make any profit on the console itself. The same could happen if people started buying PS4s as a cheap SteamOS machine… Times have changed though, and the playstation brand has some additional income streams, meaning the PS4 device itself might not need to be locked down that much. People would still pay for PS+, for example. I know I would. 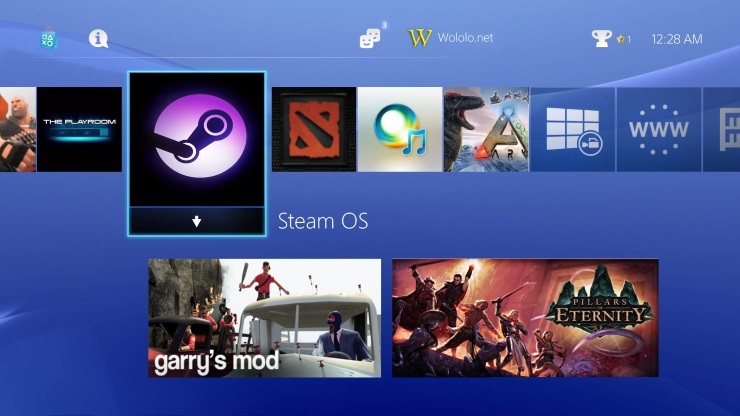 SteamOS on PS4, what needs to happen? Running steam OS on the PS4 might sound like an impossible dream, but the developers might be way closer than we think. The PS4 is essentially a PC running FreeBSD, with a few differences from a PC. Enough differences to make it challenging (and interesting) for the developers to port Linux, but close enough to a PC that everything should work, eventually, as Fail0verflow stated. Once the basics of Linux are ported by the Fail0verflow team to the PS4, it would only take one group of hackers to release a PS4 Jailbreak (we know several teams have such hacks in their possession) in order to get Linux, and then a SteamOS port, to the masses. To get games running at full speed though, the Fail0verflow team would need to fix some of the issues with the GPU drivers. 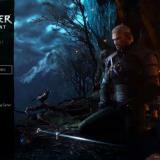 they have stated that their current linux port only uses software-based graphics, and not hardware acceleration. They have stated it’s a matter of months, not years, to get things ironed out. Things might only be working out for the owners of a PS4 running firmware 1.76, due to the nature of the PS4 exploits we know about. That firmware is pretty old, but it is still possible to get your hands on a PS4 running firmware 1.76.
would you like to see a SteamOS port on the PS4? SteamOS sounds good in theory but there will be huge compatibility issues where a lot of stuff just won’t work. I’d be more interested in getting kodibuntu working to turn the PS4 into a decent media player. The PS4 media support is sorely lacking but it’s more than powerful to run a great kodi build. Not likely. Not with full performance anyway. As they mention it has a few hardware differences to an actual PC and since Linux has its source code available you can adapt it to these differences. Windows however is closed source, so unless Microsoft does it for you (but why would they?!) it ain’t gonna happen. That’s not to say you could maybe run Windows from inside a virtual machine within Linux on your PS4, but don’t expect performance good enough for games. you never know what might happen in the future..
Actually Win98 on PS3 was through an emulator, DOSBox and XP couldn’t work because it’s not DOS-based like 98 is, XP uses the NT kernel. Anyhow Windows requires for one thing a BIOS (or UEFI in recent years) which the PS4 does not have. There was a project to get Windows running natively on the first Xbox (because it is 99% just a PC, but lacks BIOS) but it was never finished due to developers giving up iirc. The PS4 is much less a PC than the Xbox was. Accomplishing something like this without the source available just requires insane amounts of reverse engineering, I just don’t see it happening unless someone would pay people to worm full time on it for months/years. Oh yea, why would microsoft ever want the ps4 to run on windows? It’s not like they’d be delighted to *** off sony by offering windows apps on the ps4 even if just for a relatively small number of ps4 owners. History in the making is upon us. So basically failoverflow used their jailbreak on an older PS4 firmware and made a linux distro. So they don’t have an exploit for current firmware, and they are not a fan of piracy. meh….. Very meh. Linux on yet another device. Woo hoo? If 99.99% of ps4 users can’t obtain it because of such an old firmware, what’s the point? The point is, it’s thier HOBBY. how do i change this *** profile picture that automatically shows up? anyone know? On topic: neither Valve nor Sony will be happy to see this happen because the former will lose their Steam Machine and the latter will lose PSN sales of non-exclusive content. Not to mention that even if Gaben won’t ban you for running SteamOS on PS4, Kaz most certainly will. I won’t even remind you that PS3 was initially hacked through OtherOS, causing its total removal later. P.S. To clarify: I don’t give a single fug about what makes Valve or Sony happy, but in this case there will be no support with the most important thing – video drivers. Seeing that even ‘mainstream’ Linux distros can’t develop proper ATI/AMD driver by themselves, odds of seeing a decent PS4 video card driver are abysmally low, mostly due to PS4’s unique unified memory. It doesn’t exist on PC so you can’t port the code from there to PS4 AND you can’t port the (to be written) code to there except for the (non exisiting) PS4 emulation project(s). You have to enter the same email address as you use to sign up for gravatar, as that’s how it identifies you. Congrats to them but why release this publicly at all? “Look what I can do!” They know who other hacker groups are so why don’t they just contact them directly? It seems like these are publicity stunts done by hacking groups. Maybe you should use an example that’s actually available on Linux. ” But, more importantly, and this is the part that Sony will not like, would I like to see some more competitive pricing for games on my PS4? Definitely! I’m looking forward to see further developement on the hack eventhough that i wont use it myself. Isn’t Steam OS a buggy piece of *** though regardless? Who ever said that? All the negatives I’ve heard is that it (any Linux distro really) performs worse than Windows in games, but that’s because of the poor drivers from Nvidia/AMD. They just don’t care enough to make a good driver when the install base is so relatively small. Steam is like using psn you buy a game and when you do it also makes a edat of your game so that its tied to your ownership. I already sold my newer ps4 for the launch ps4 with the first firmware i suggest you meatwads do the same if not then you will be left out. The Boss of steam maybe happy to see this. He would love to see hacker to turn all PS4 machine to equip Steam OS. The real income always from the games. not the console. Compare the selling with PS4 & Xbox none in the world, Steam machine selling too low. PS4 sold at least 25 million machines around the world. For Stream machine is impossible. For people, more options is good. But we still interest to play for free. not pay for fun. Uhh as much as I hate your use of jailbreak, I hate it more when you can’t decide which term to use, so end up using both exploit and jailbreak interchangeably… Please be consistent.. But it’s not pointing to the same thing. An exploit is the most vital part of the “jailbreak” that makes it possible. A “jailbreak” is a whole set of things that enables you to use your device under your own rules, i.e. it’s no longer in the jail it was originally put by its creator, hence “jailbroken”. Normally that’d be the case, but in the context of the sentence, they’re talking about the same thing. Read the sentence quoted above. too bad f0f wouldn’t want to see their exploit released..
What a bunch of showoffs..
I’ve been thinking of getting a Steam Link recently. SteamBoxes can provide that functionality, right? Cpu I7. dual os. the ps4 os is is jus like a live Linux CD or chrome os think it’s like 4 gigs. Thks guys. Pretty cool Nintendo controller. I have the same opinion, I agree with you totally. Why are they wasting their time? We don’t want to play unstable games on ps4, when we can play that same games stable with 350$ pc. So release the hack, or don’t waste your time f0f, your policy is so bad. *** you f0f! You are wasting your time. Why the *** don’t you release the hack? You are acting some high moral??? If you want to act like that, then stop hacking things. I think your just some bastards that want attention. What is wrong with you f0f? You are wasting your time. Why don’t you release the hack? You are acting some high moral? If you want to act like that, then stop hacking things. I think your just someonethat want attention. They don’t have anything to the current firmware version I guess. that’s why they came up with “bring your own exploit” slogan. they made a linux distro based on the exploit they have on older and outdated firmware version, and claimed victory. You have a firmware 3.0? well, you’re gonna have to figure out how to install this distro. they just wasted their time, also mine, I constantly looked for news about their hack, and on the end there is nothing. Cturt was on a great way, but he did not finish his work. I think the ps4 hack will never happen. Cause the ps4 scene is not serious. In an ideal situation we’d have this Linux hack working on most recent firmware and be able to seamlessly dual boot between that and the stock PS4 FreeBSD, with the former providing SteamOS, Kodi and emulators with the controller touchpad usable as a mouse if needed and the regular firmware for everything else. In the situation we have, we have a dated firmware running Linux that’ll probably never do any of that which doesn’t have a full exploit released so… yeah, we got nuthin’. Lol. they just wasted their time, also mine, I constantly looked for news about their hack, and on the end there is nothing. Cturt was on a great way, but he did not finish his work. I think the ps4 hack will never happen, because the ps4 scene is not serious. Wololo please do something!! SteamOS is absolutely useless. Alienware gaming consoles have SteamOS, even they have support for it, the optimization is so bad. So, if the optimization is bad even on alienware gaming console, than imagine how bad it will be on playstation 4. Release the hack, or don’t waste time fail0verflow. I still prefer the ps4 jailbreak than Linux , so Linux on Ps4 ? With jailbreak would bring happiness to all , homebrews , games in external hd , backup manager , etc …..
And what about piracy from Linux? Some games are available both on the PS4 and Linux and could thus be pirated. Don’t forget that you can run PS2 emulator on Linux. Fail0verflow: "For the PS4, we're trying something new"